Rodgers Fertilizer LLC is a family owned and operated business located in Saluda, SC. In 1976 we opened our doors to serve the local community by providing fertilizer and lime to farmers as well as to backyard growers. Our daily goal has always been providing the best customer service by helping our customers in anyway that we can. Here at Rodgers Fertilizer LLC we are able to blend various types of fertilizer to meet your needs. We sell our product either in bulk, in 50 lb. bags, or in one ton bags based on your request. These products can either be picked up by you, delivered, or spread. We do provide other products and services as well. 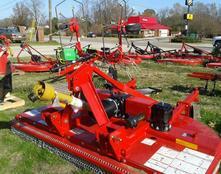 For example, we are an authorized Bush Hog dealer and a Great Plains dealer. We can provide you with the equipment as well as parts to maintain them. 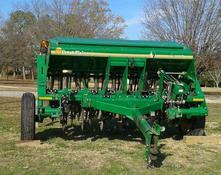 Rodgers Fertilizer LLC currently offers the Great Plains no-till drill either for sale or for rent. 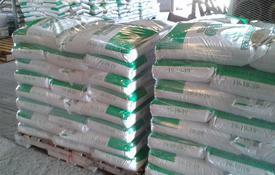 We also offer seed, feed, and other farm supplies. Please give us a call to see if we can help supply your needs. You can reach us at 864-445-2104 or 800-753-7294.